Superman's script is apparently a mess, and Sucker Punch is reportedly a "disaster." If rumors are true, Zack Snyder's movies are in trouble. The rumor mill is working overtime in Hollywood today, and the current topic is Zack Snyder. Following Vulture's news that Guy Ritchie has been asked to direct Xerxes, the sequel to 300, people are wondering why Mr. Snyder isn't working on the film. Current theories claim that studio executives don't want Snyder to take on any new projects because his next two movies are experiencing some huge problems. Warner Bros. needs Snyder to bear down on Superman stat: Insiders say the closely-guarded script for Superman [written by David Goyer and Christopher Nolan] suffers from major third-act problems, and the studio faces a ticking clock on that franchise, legally speaking; if a Superman film isn't in production by 2013, Warner Bros. loses the rights to the entire Superman franchise and would have to re-license it from its original creators - the estates of Detective Comics writers Jerry Siegel and Joe Shuster - at great if not prohibitive expense. This isn't the first time that rumors of problems with the Superman script have surfaced. io9 reports that Darren Aronofsky wasn't given the project because Warner Bros. was afraid he'd spend too much time trying to fix the screenplay and miss the aforementioned deadline. However, the soon-to-be-released Sucker Punch sounds like it's got some more immediate problems. Warner Bros. recently conducted a test screening of the film and the consensus was that the movie is "a CG disaster." According to one studio insider who spoke to New York Magazine, "It was bad; like, really bad. They're [WB] really not happy with it over there." Personally, I'm not sure I believe reports about the Superman script being as problematic as people are making it out to be, simply because of Nolan and Goyer's prior track record. 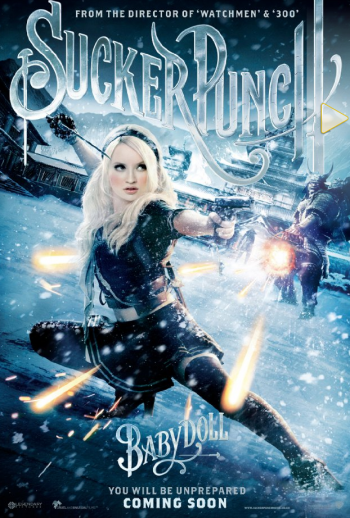 That said, I have a much easier time believing Sucker Punch isn't very good; while the movie certainly looks like it contains some gorgeous action sets, I still don't understand the actual plot, despite all the Web videos that have been released over the past few months. Also, it should be noted that neither Watchmen nor Legend of the Guardians: The Owls of Ga'Hoole were stunning critical or commercial successes. From the sound of things, it doesn't seem like Snyder's films will be much better in the near future.